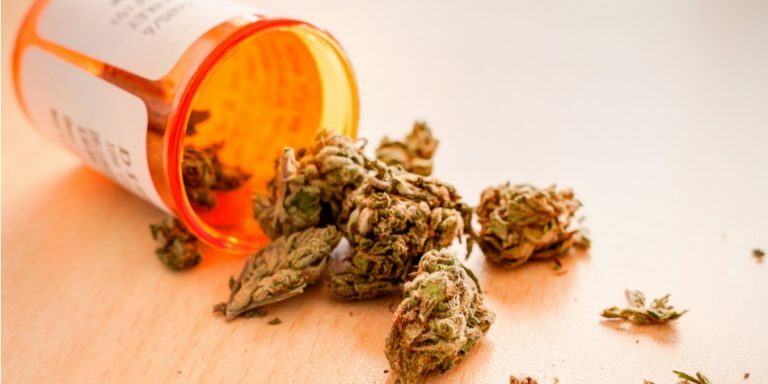 Th U.S. Food and Drug Administration (FDA) approved Epidiolex June 25, a CBD medicine developed by GW Pharmaceuticals (NASDAQ:GWPH) that treats two rare forms of epilepsy. The adage about buying on rumor and selling on news definitely hit GWPH stock as it’s lost almost 10% of its value in the days following the historic announcement. For those unfamiliar with Dravet syndrome, it’s a rare genetic condition that hits newborns and results in seizures caused by fever and involuntary muscle spasms. Young children who develop this condition tend to experience difficulty speaking, reduced motor skills, and hyperactivity. This particular CBD medicine is a welcome therapy for parents of children suffering from both Dravet syndrome and Lennox-Gastaut syndrome, that tends to hit children between 3 and 5 years of age. “The difficult-to-control seizures that patients with Dravet syndrome and Lennox-Gastaut syndrome experience have a profound impact on these patients’ quality of life. I don’t have kids but I can only imagine how difficult it is for parents of children suffering from either of these conditions. Anything that can improve their child’s quality of life is going to capture their interest. Now, it’s a matter of doctors, insurance payers, and parents buying into the program. Frankly, if payers will cover Epidiolex’s treatment of epilepsy, doctors likely will prescribe it and parents will be ecstatic. I believe that the use of cannabidiol whether in combination with tetrahydrocannabinol (THC) for consumer products such as cannabis-infused drinks or on its own for medical therapies like Epidiolex will mushroom over time. Eventually I can imagine these therepies developing into a significant piece of the entire cannabis industry; possibly even outdoing the sale of recreational marijuana. “Scientists have been investigating cannabinoids for the treatment of skin conditions such as pruritus, inflammatory skin disease, and skin cancer. I for one would be all over the use of CBD medicine to treat my eczema condition. I’ve tried using 1% hydrocortisone with limited success; anything to end the itching would be a godsend and I’m not even talking about a quality of life issue. The other area which I’d like to explore but haven’t as of yet is the use of CBD medicine for the treatment of arthritis in companion animals. CBD products from hemp have been on the market for some time because hemp is in that grey area as an agricultural product where no one can say for sure if it’s legal or not while the FDA has yet to approve any use of marijuana for animals. Once the whole hemp/marijuana CBD issue gets solved through legislation, regulatory approval, etc., my guess is animal health companies like Zoetis Inc (NYSE:ZTS) will be all over these therapies. Given all the opioid problems in the world, any breakthroughs CBD-based therapies can provide in the future will be a win for healthcare in this country. That’s great news for risk-takers like GW Pharma. Article printed from InvestorPlace Media, https://investorplace.com/2018/06/gwph-stock-cbd-medicine/.